Happy May, everyone! 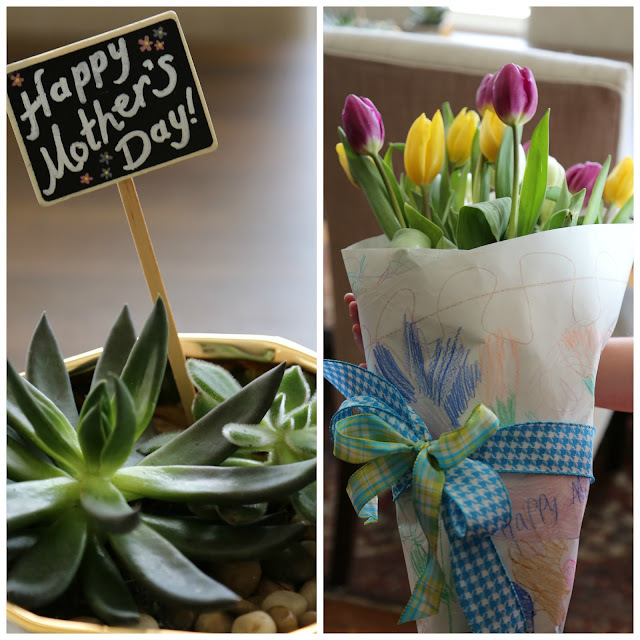 And that means that Mother's Day is right around the corner and I have a few easy ideas to give a small gift a big touch of special! I love unique serving trays and this serving platter is awesome. One can never have too many nice serving platters! To add a special touch to your gift look for a tray or platter with an inscribed thought or quote, and tie on a nice serving utensil with ribbon or jute for a complete gift with meaning. 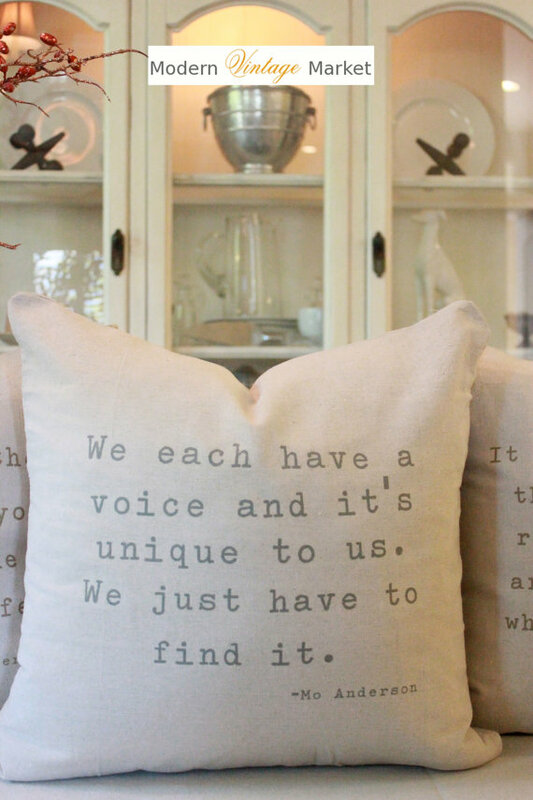 Even pillows inscribed with a personal thought or photo add a sentimental touch to an otherwise ordinary gift like this one from Modern Vintage Market found at this link on Etsy. I found these two gold embellished pots at a craft store and potted them with succulents. They were easy to put together, yet look so beautiful. In addition to your pots and succulents, all you need is soil and a little gravel. Succulents need little watering and a lot of sun so most of us can manage caring for them and enjoy their beauty for a long time. I left over an inch of space between the top of this container and the gravel because the inside of this glass bowl is gold plated and looks stunning! Pair it with a candle and the special woman in your life has a beautiful centerpiece for her table. You don't always need a card to say "I Love You." To add a special touch, I found these planter stakes with chalkboard at a craft store. They are perfect for writing a personalized note with markers to say "I Love You". Transform the ordinary plastic sleeve that cut flowers come in into a work of art and love for something that will mean as much to the kids as it will to Mom, Grandma, or Auntie. Cut a square from white wrapping paper and have the kids go to work coloring. If the outside of the white wrapping paper has a glossy finish, have the children color on the inside. To wrap up, place the square colored side down in the shape of a diamond (point at top), fold up the bottom, then fold over one side and then wrap the other side around the flowers and secure with ribbon. Leave the flowers in their plastic sleeve to catch the moisture so the kids' masterpiece stays dry. My grandchildren were so excited to make this for their Mom, and every Mother loves those special handmade gifts! Mom can use the ribbon to tie a pretty bow around her vase for a special touch! 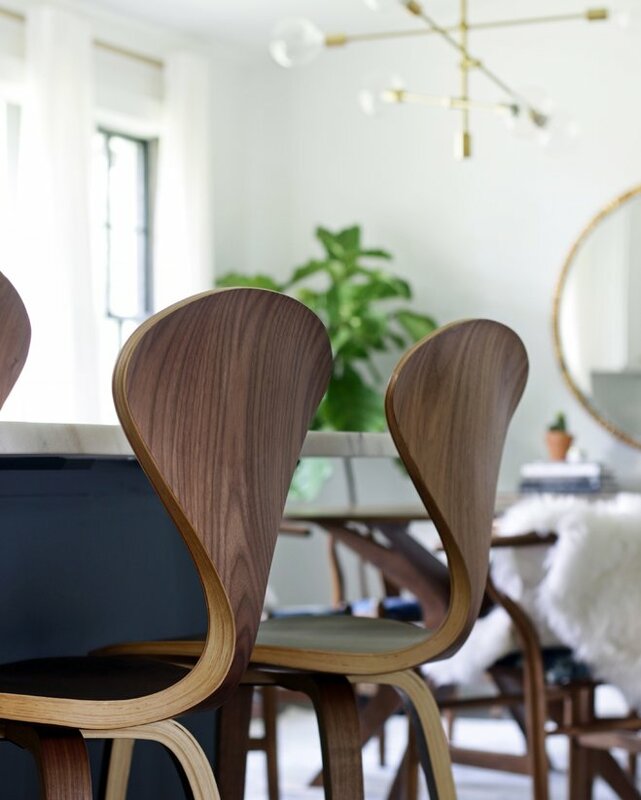 Adding a special touch to your Mother's Day gifts can be sentimental and easy. Have a lovely Monday and a great week!